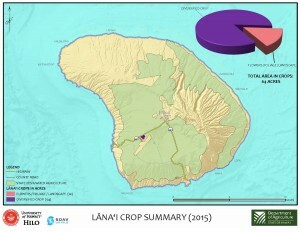 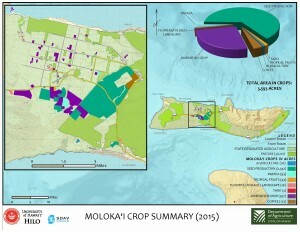 The Statewide Agricultural Land Use Baseline 2015 was produced for the Department of Agriculture by the University of Hawaii at Hilo’s Spatial Data Analysis and Visualization Lab (SDAV). 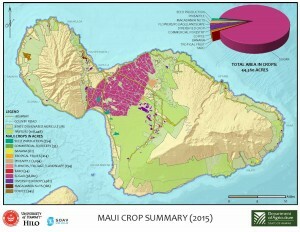 Using a combination of satellite imagery, related geospatial datasets, and statewide farm interviews, they produced a new digital GIS layer to identify commercial agricultural crops grown in the state. 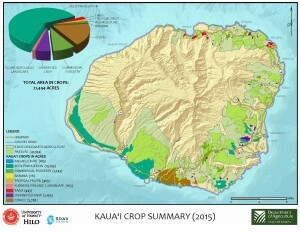 SDAV also produced a report to accompany the digital data that contains a collection of maps and graphics to depict the current state of crop production statewide. 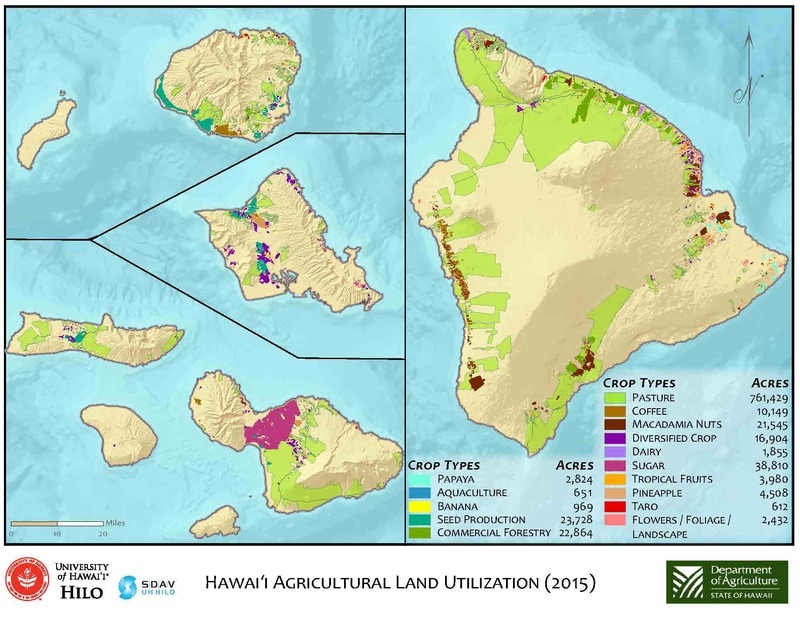 The 2015 Baseline dataset updates the 1980 Agricultural Land Use Map (ALUM), the previous statewide agricultural GIS layer. 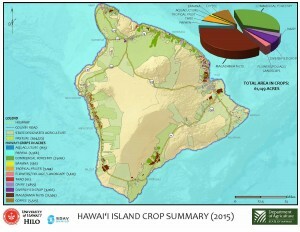 The 2015 Baseline is intended as a tool to promote a shared understanding of where and what Hawaii currently farms and ranches, and how Hawaii’s agriculture has re-emerged following the loss of nearly 300,000 ac. 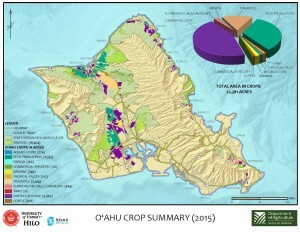 of plantation agriculture over the last 35 years. 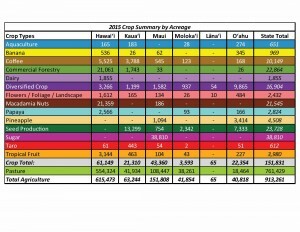 For more information, please contact call Jeffrey Melrose @ 989-8322 or Dr. Bruce Mathews @ 217-7393. 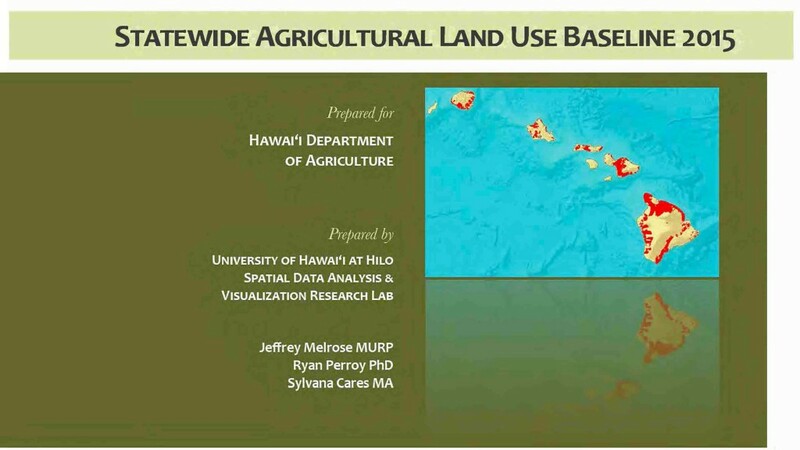 For a flyer about the presentation, click here.